We know that it's the little things that can make a difference between an event that's a roaring success and one that is not. We understand that it's important to get it right first time and every time. We appreciate the importance of a venue that is able to adapt to last minute changes at a moment's notice. At the George Williams Hotel we understand your needs and deliver on our promise. That is why we stand behind our promise to be "Brisbane's best value conference venue". Whatever the event, we have a room to suit you. 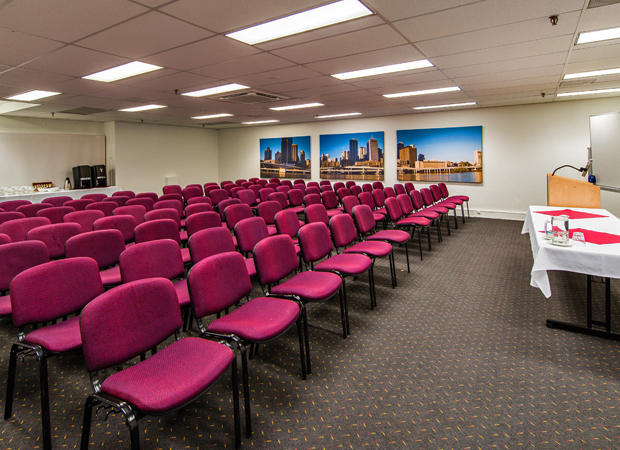 The George Williams Hotel in Brisbane city centre offers four professionally appointed conference rooms for training courses, workshops, seminars and all types of business events. Each conference room has AV equipment and Wi-Fi connectivity at your disposal. Take the stress out of planning your event and choose one of our catering packages or tailor a package to suit your needs. Whether your event is for 2 or 110 delegates, at George Williams Hotel we will help you not only plan your event but provide support throughout to ensure it is productive, memorable and successful.